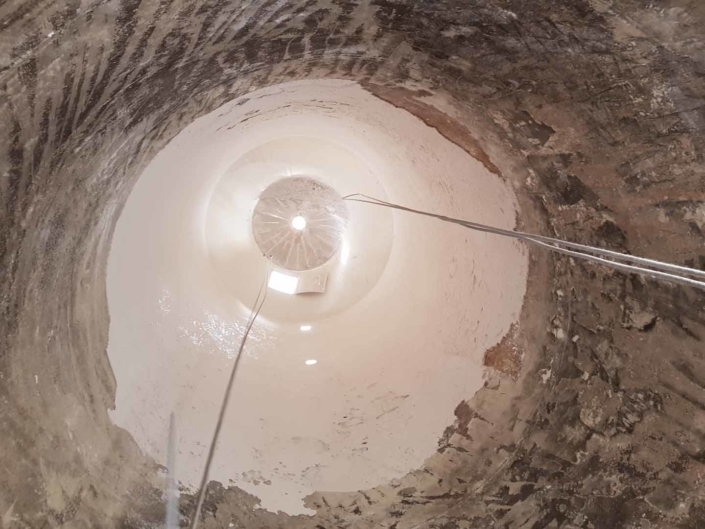 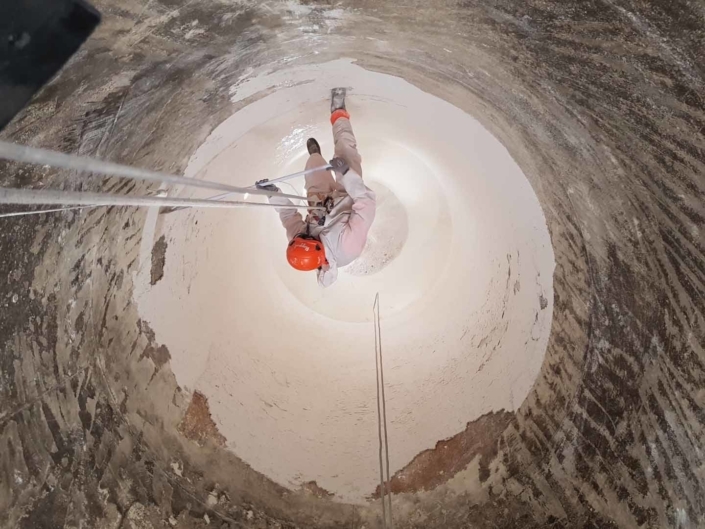 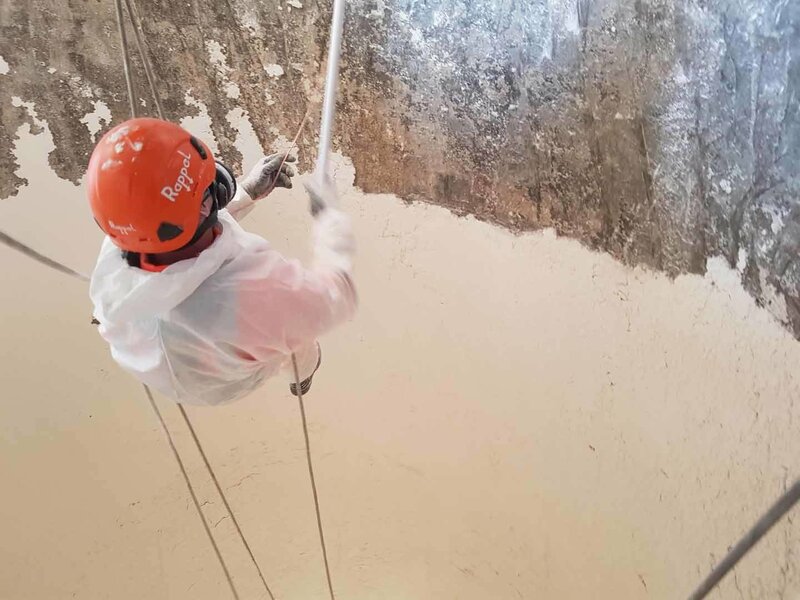 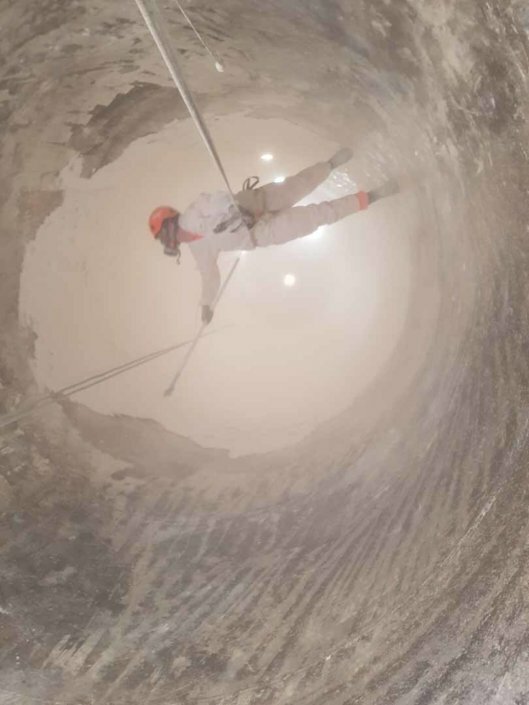 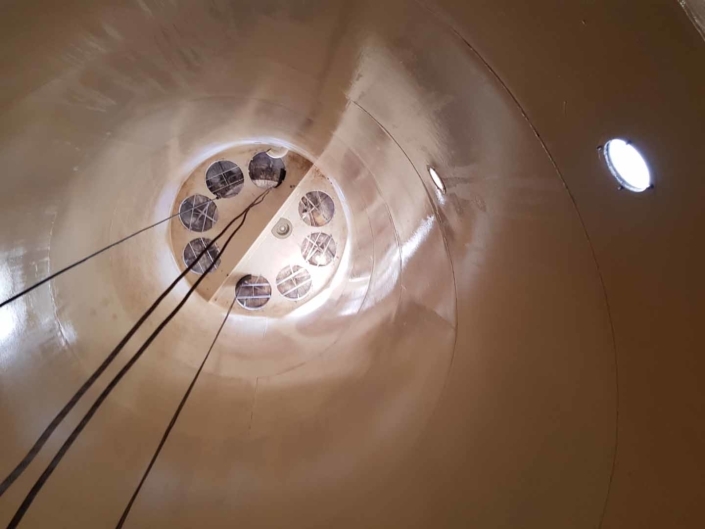 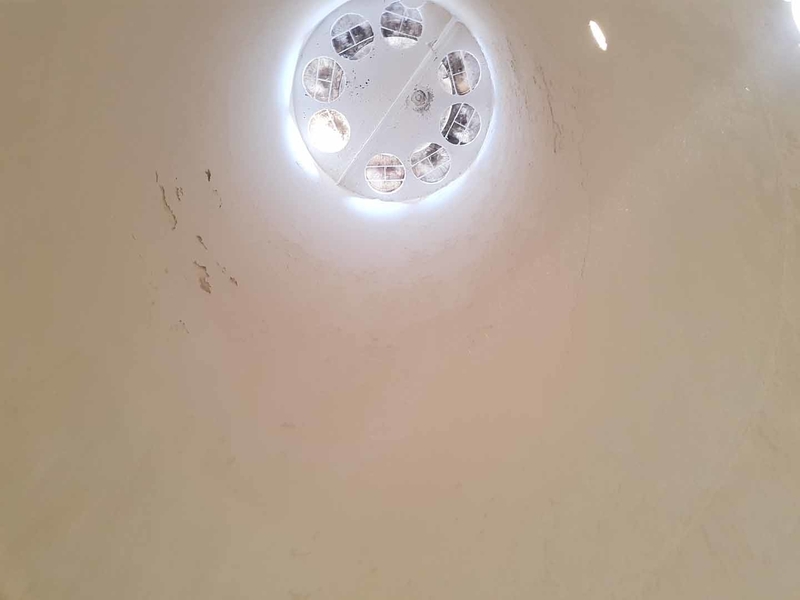 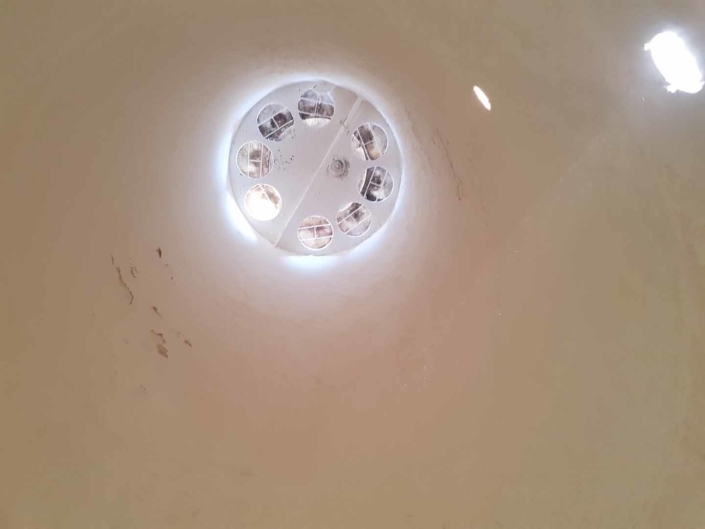 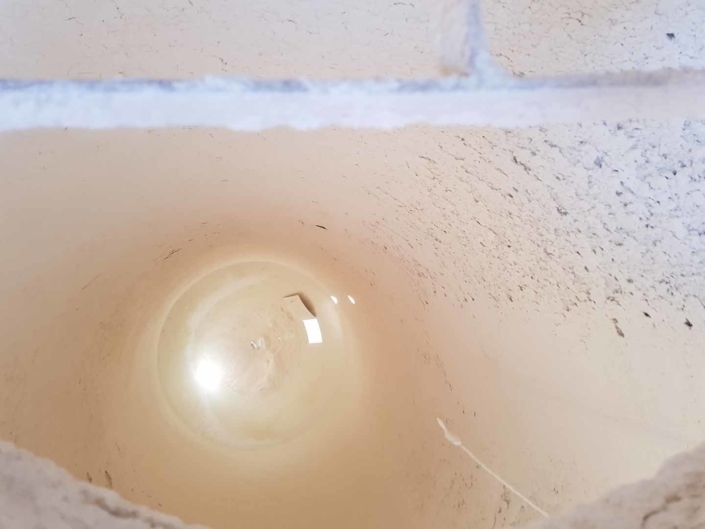 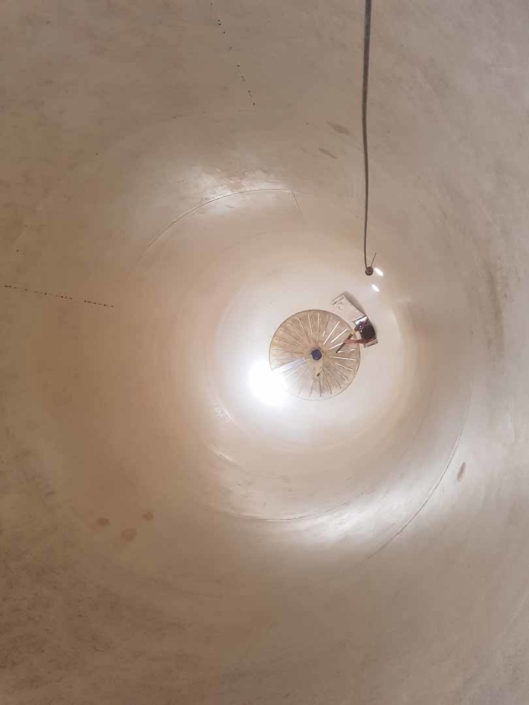 Our silo cleaning and maintenance services had been requested to carry out an internal deep clean of a 35t flour storage silo. 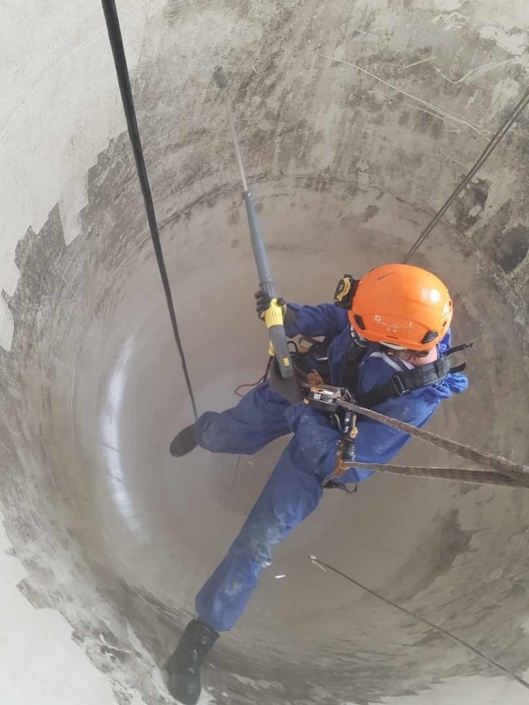 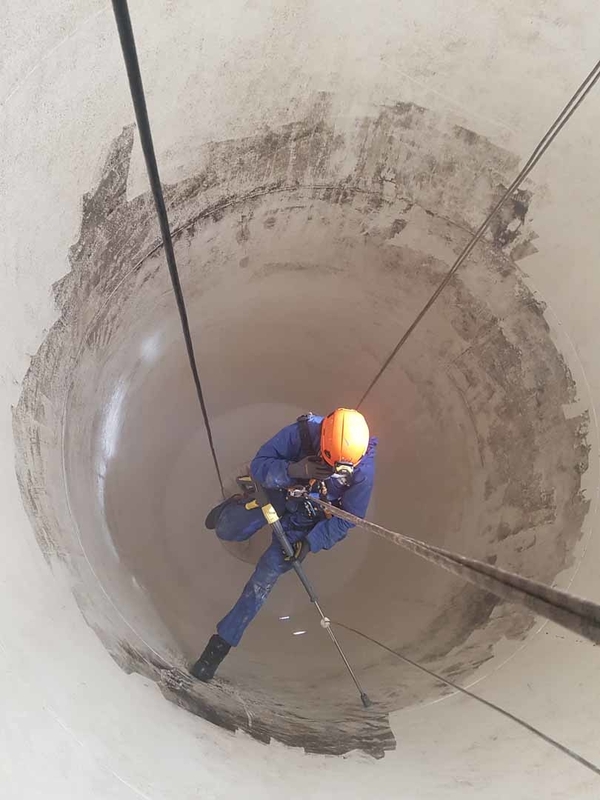 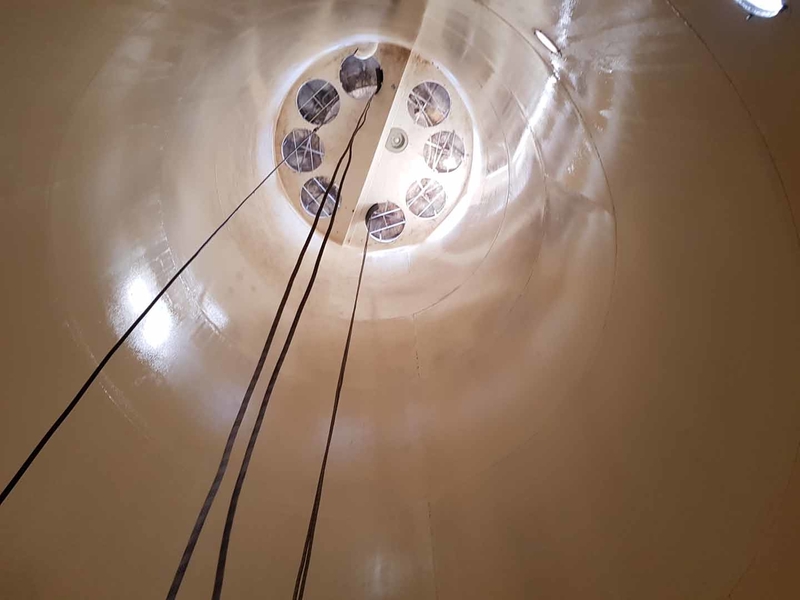 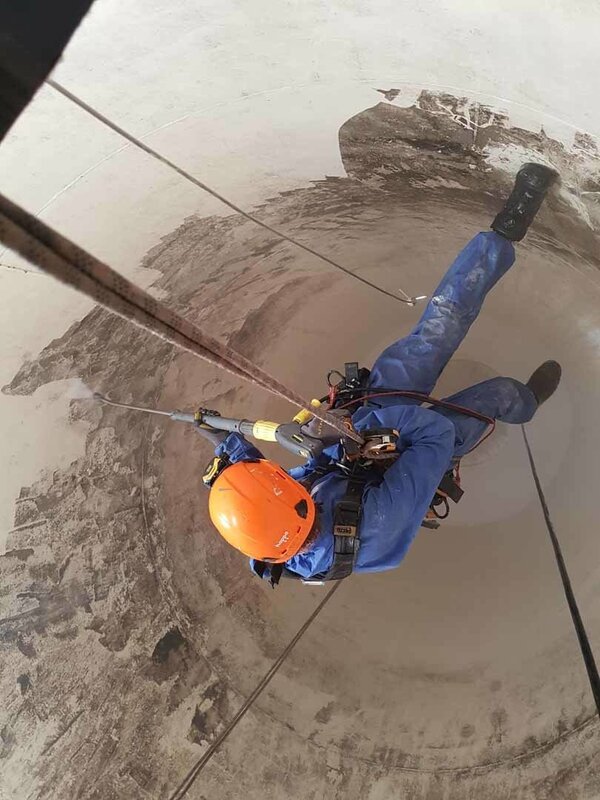 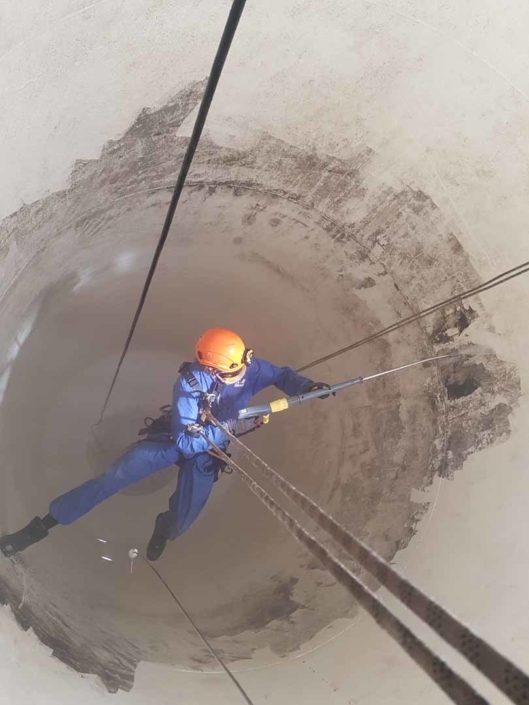 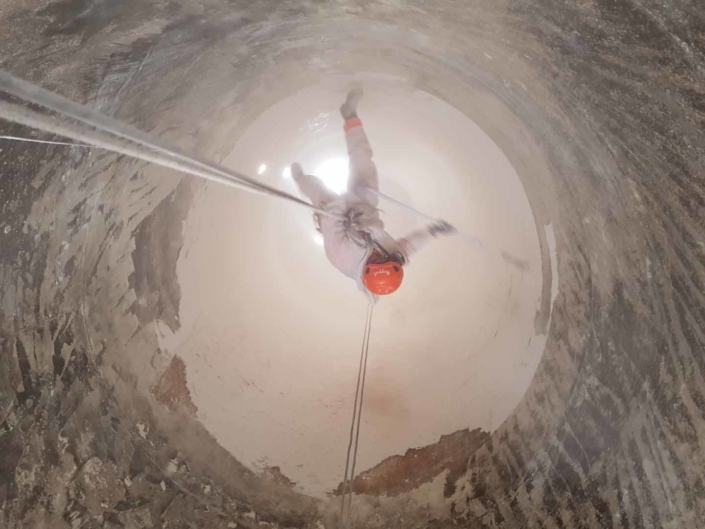 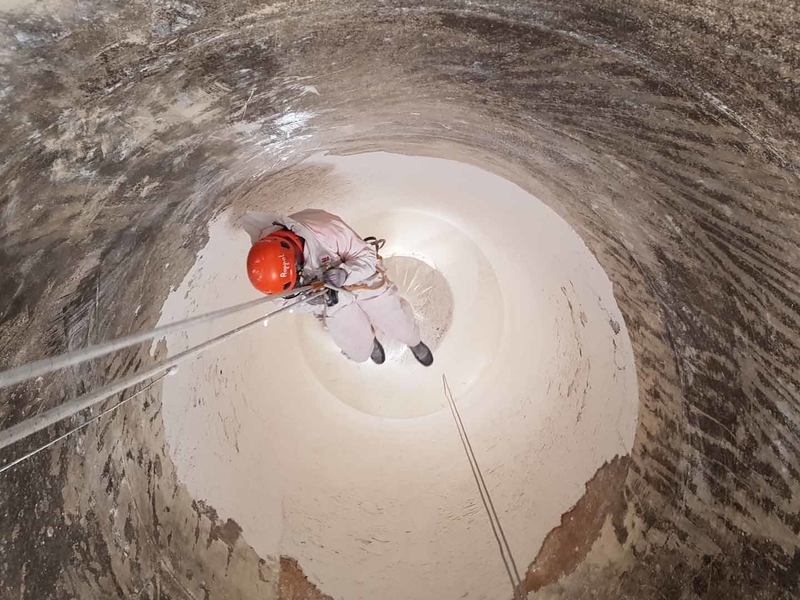 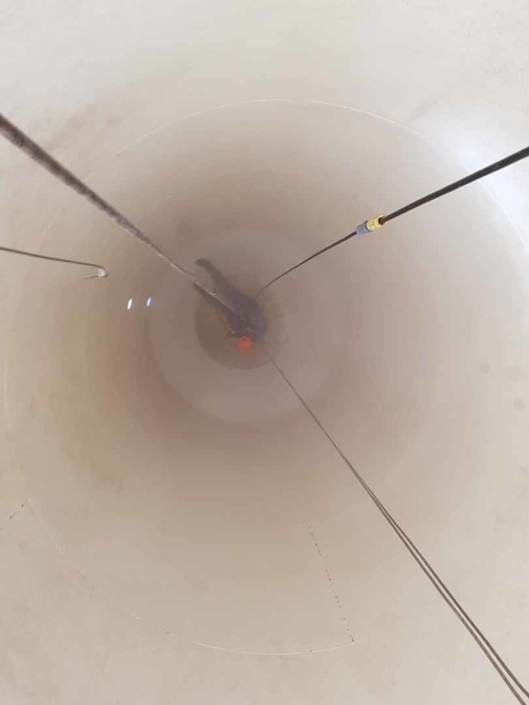 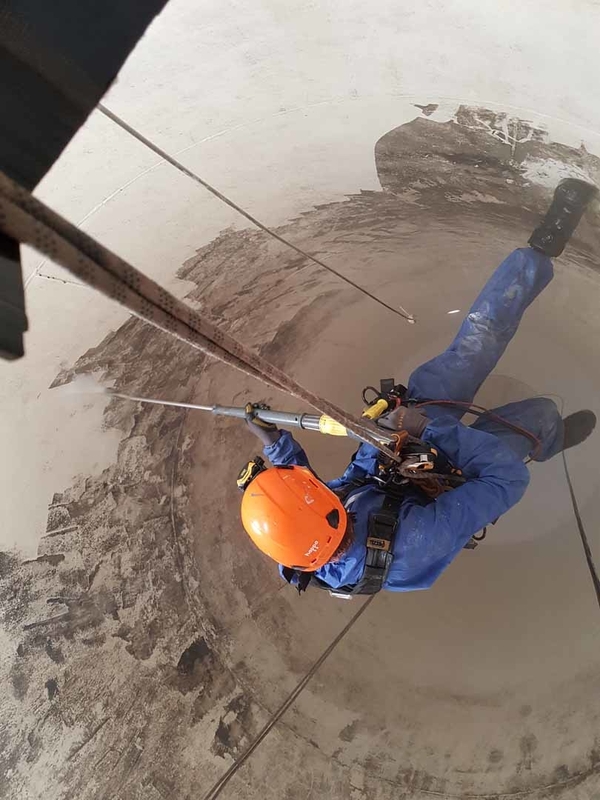 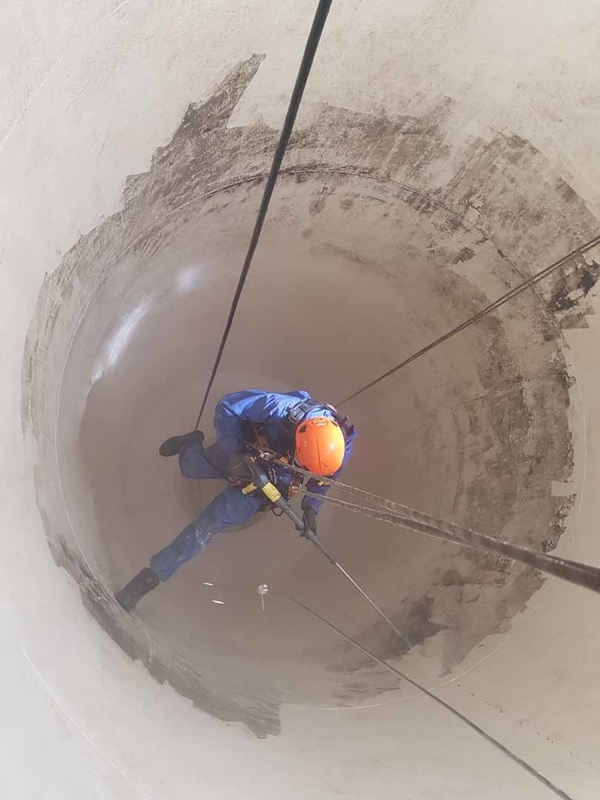 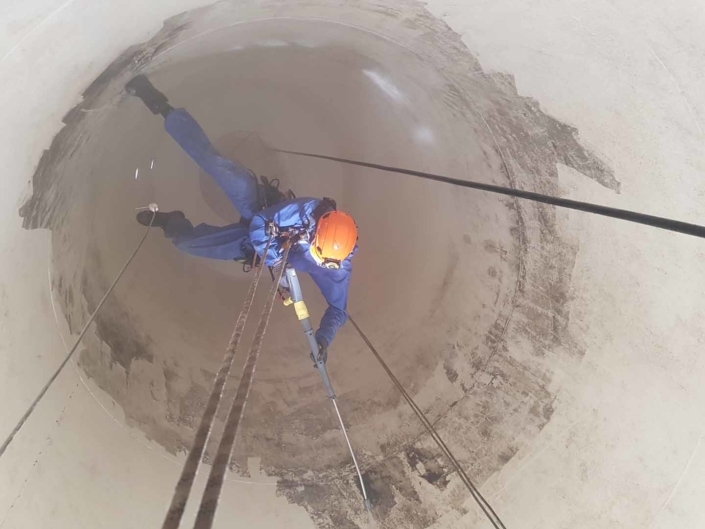 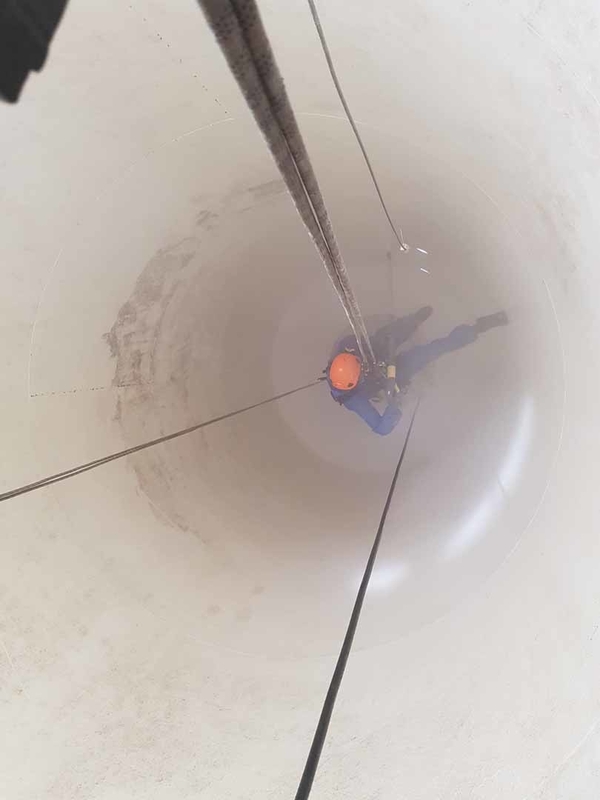 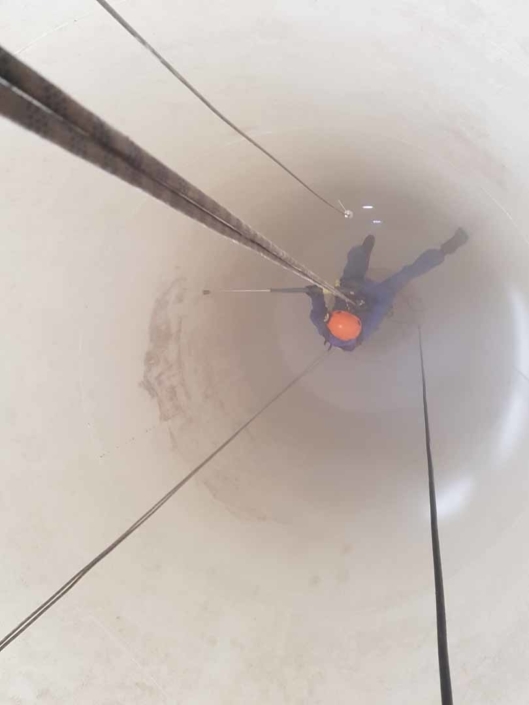 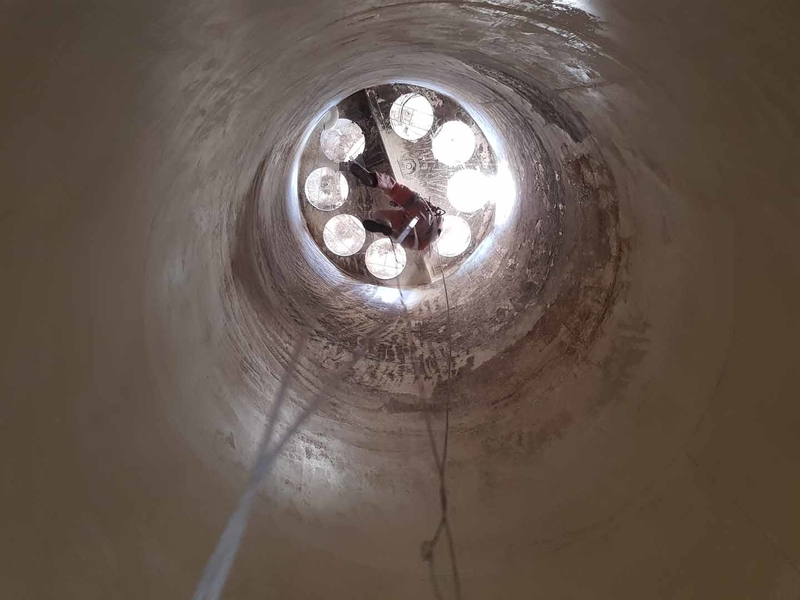 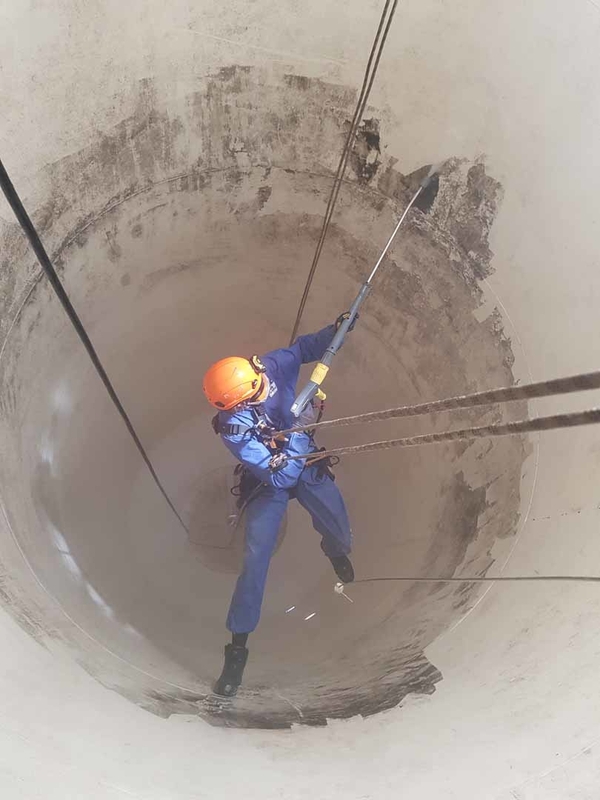 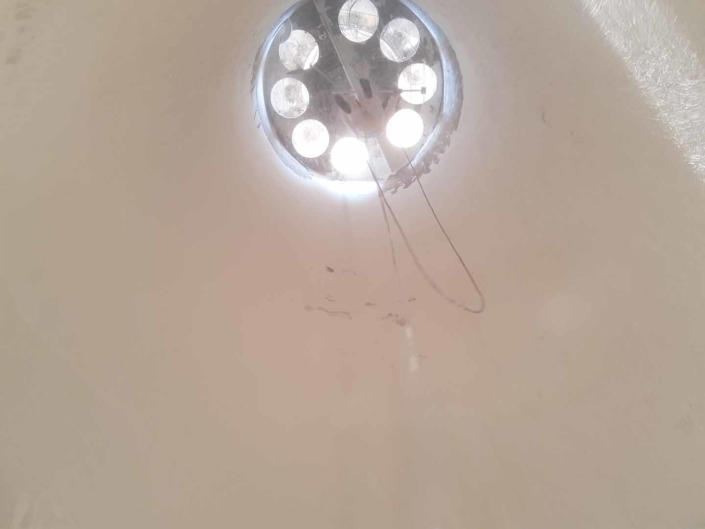 Our rope access and confined space trained silo cleaning and maintenance personnel attended the site at short notice to complete the works. 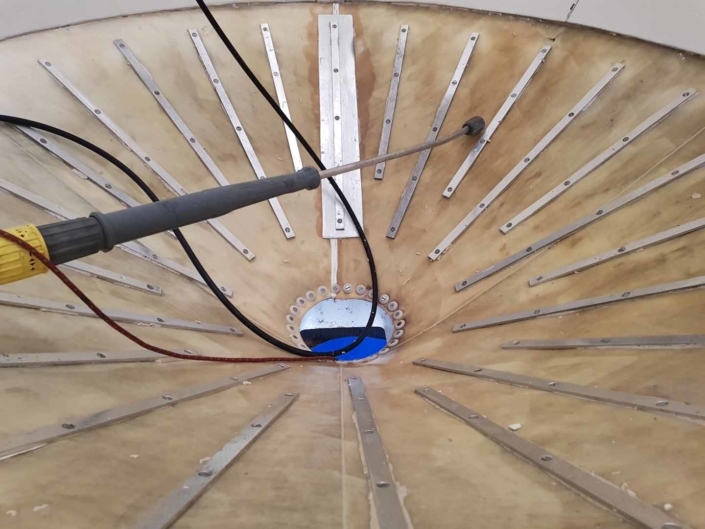 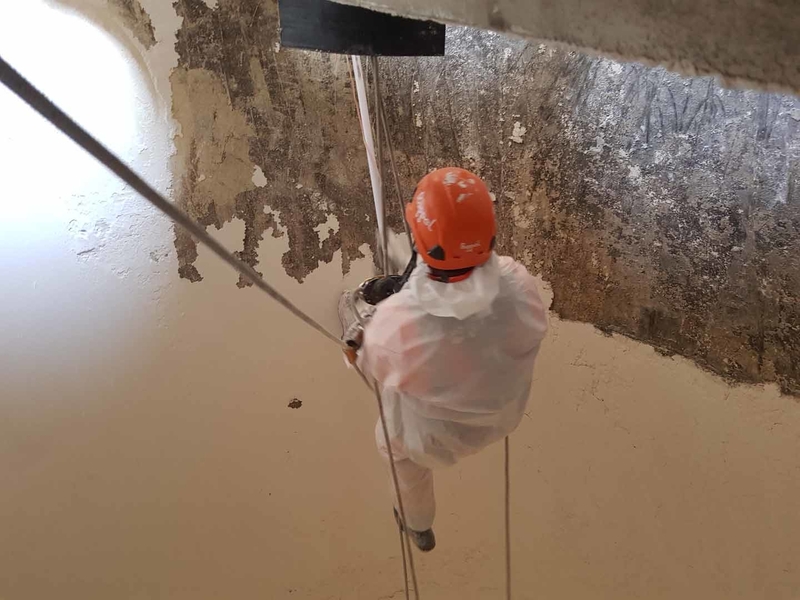 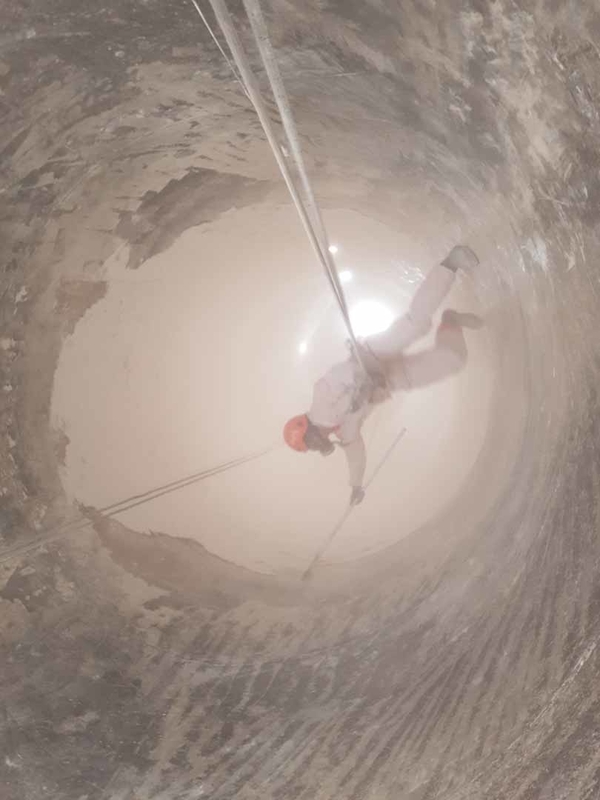 An initial dry scrape down of the internal silo surfaces was undertaken followed by a hot water / steam pressure wash clean, the surfaces of the silo were then treated with a food-safe sanitiser.